Now more than ever, teens (aged 13-19) are attending group classes, either general sessions or teen-specific ones. To design safe, successful workouts for teens, it’s vital for instructors to understand this age group. Teens are no longer children but are not quite adults. Adolescence is a time of great growth and development—physically, emotionally and mentally. Instructors are often hesitant and even annoyed when teens try to participate in a class. They can be silly, loud, awkward or even belligerent. But rather than fear this sometimes misunderstood population, you want to enthusiastically welcome its members, help them adopt a healthy lifestyle and show them just how fun and rewarding fitness can be. Draw from the following tips to inspire teens to fitness. According to the American Psychological Association, teens may be emotionally immature, but they have reached cognitive maturity by age 16 (Steinberg et al. 2009). By then they have developed reasoning skills, logical thinking, metacognition (thinking about their thinking) and abstract thinking (Huebner 2012). Don’t talk down to teens; instead, ensure that exercises make sense to them. Teach them about the muscles being worked; instruct them on safe and proper form; demonstrate equipment use; and provide general guidelines for healthier living. Be aware that many teenagers have a short attention span. Create variety to keep them excited and engaged. Circuits, boot camps, strength training and partner yoga are great choices for teens. While technology can partly be blamed for their short attention spans, it’s also a great skill to harness. Utilize teens’ technological savviness by recommending fitness apps and nutrition apps. Teach one element of movement at a time. Start with basic choreography before adding complex directional changes or arm movements. Teach teens how fitness translates into their everyday movements. Since adolescents are beginning to recognize their independence, there is no better time to inspire them to adopt new and healthier habits, even if unhealthy habits are being modeled in their homes. When you understand the cognitive abilities of teens, you can communicate with them appropriately and they’ll feel respected and understood. Recognize that teens come in all shapes and sizes and reach their height peaks at different ages. Some adolescents may be too short for traditional indoor cycling bikes and weight room machines. Make sure the equipment you choose (step benches, stability balls and bikes) fits all participants. Many teens may be out of shape because they have been living a sedentary lifestyle (Lawrenson 2010). Explain the rating-of-perceived-exertion scale and teach them how to listen to their bodies. At the same time, encourage them to get their heart rates up to high, but safe, levels. Many teen participants may spend much of their time online or playing video games, and cardiovascular activity may intimidate them. Provide a variety of movements to help all teens feel successful, whether they’re athletic, dance-inclined, musical or skilled at games. Each teen needs to feel that some aspect of fitness suits him or her. Ask teenagers what sports or other physical activities they’re involved in and use this feedback to include exercises that will strengthen and train them. Select and teach the best stretches for them as well. Soccer players, for example, tend to have tight quadriceps muscles, while track stars tend to have tight hip rotators. Dancers and cheerleaders usually have incredible passive hamstring flexibility but may lack active flexibility and strength. By addressing individual needs, you help youth perform better, compete better and feel better. You also make an invaluable connection with them when they feel that you care about their outside interests. It's vital to make sure fitness is not humiliating for teens, who may be very self-conscious or embarrassed about sweating or breathing heavily. Modify your choreography, select exercises that are less intimidating, or provide plenty of choices. Rather than commanding everyone to do 30 push-ups, encourage participants to count their own reps and record how many they can do that particular day. Most important, don’t promote negative body image issues, however unintentionally. Rather than emphasizing calories, fat or fitting into skinny jeans, focus on feeling stronger, living a healthier life, having fun and performing better. For more tips for working with teens, please see “5 Tips for Teaching Teens” in the online IDEA Library or in the November–December 2012 issue of IDEA Fitness Journal. Christy Stevenson, fitness writer/presenter and owner of the YouTube channel Real Fit for Real Life, has been teaching group fitness classes for 20 years and has certified with AFAA, ACE, and FiTOUR in Group Exercise, Yoga, Pilates, Kickboxing, Stability Ball Training, Group Barbell Conditioning, Core & Functional Training, and Personal Training. She has also certified with Reebok University in Coreboard Training & Body Training Systems RPM, a pre-choreographed cycling program, as well as Zumba® & TRX. 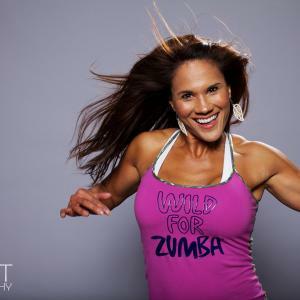 She has taught virtually every land aerobics class format that exists, including specialty classes such as Go-Go Robics, Teen Sports Conditioning, Strollercize, Shakti Running, and Senior Strength and Stretch. Prior to moving to CT, Christy served as the land aerobics supervisor at American Fork Fitness Center in UT for over 4 years, designing a new schedule to meet the needs of expansion, doubling class sizes, and growing strong Yoga & Indoor Cycling programs. She tries to inspire the world to fitness by voluntarily teaching church & school groups, planning and promoting fundraising fitness campaigns, designing a personal training program for overweight children, and teaching yoga in schools. Christy has run 10 Ragnar relays, several half marathons, 7 marathons, and one sprint-distance triathlon. Christy graduated from BYU in 1998 with an English Teaching major and Theatre Arts minor & has taught 7th, 8th, and 11th grade. Her education background lends to her dynamic ability to lead instructor workshops, as well as her ability to bring fitness to youth ages. She is a freelance editor and writer and contributes to the prestigious IDEA Fitness Professional Journal & American Fitness. Christy is married to a wonderful husband and is the mother of 3 awesome and fit kids. ... read more.